Android, as a platform, has an advantage in that apps designed for phones scale to tablets dynamically, so many are functional without a proper tablet interface. The disadvantage? Some developers take their sweet time making said tablet interfaces. 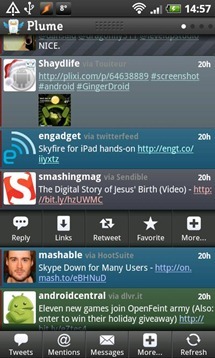 Twitter, for example, is still a giant, stretched-out version of the phone app. 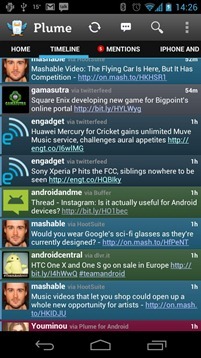 Enter Plume, an app that sticks much more closely to the ICS design style guide. While adhering to the style guide may not always be enough to make an app great, Plume provides a highly-customizable UI that makes use of the best parts of Android's new design elements. 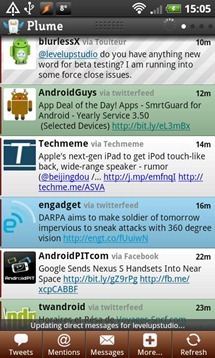 What's most striking is how similar to the official Twitter app Plume is. 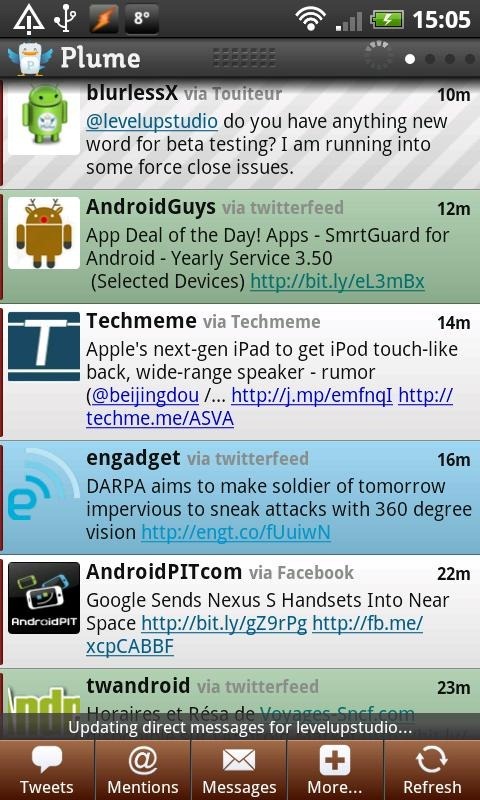 Separate panels for the timeline, mentions, etc. 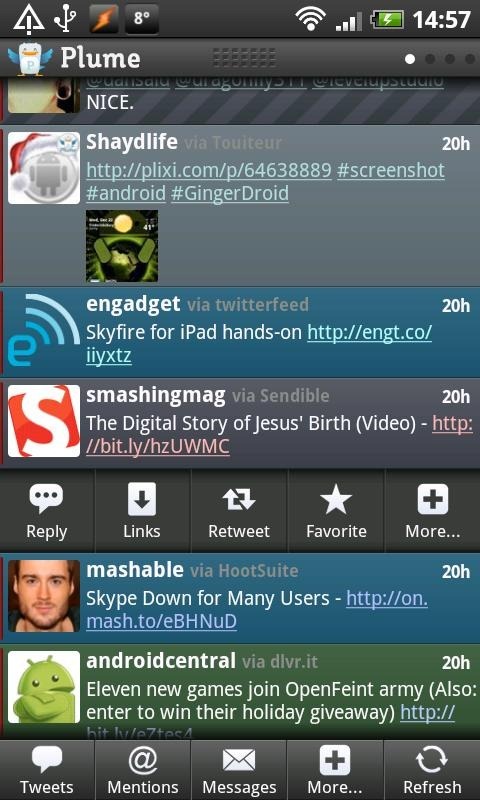 are all laid out horizontally, and the app even includes the pull-down-to-refresh, and swipe gesture for more options for interacting with tweets. 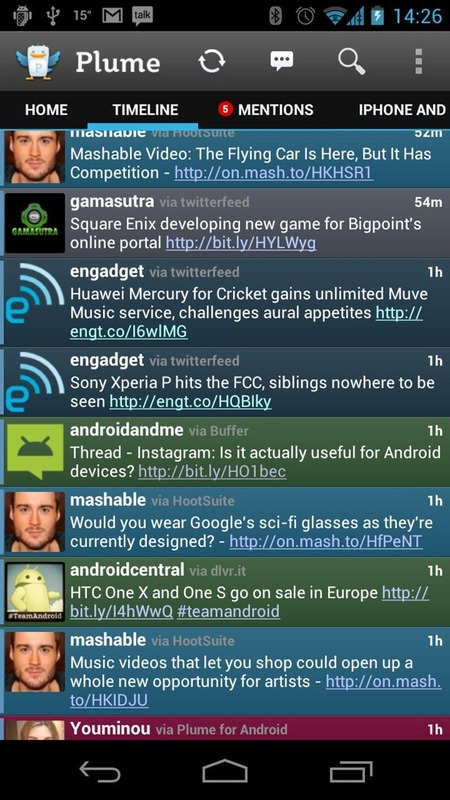 Where Plume differs from the official Twitter app, however, is its brand new tablet interface. 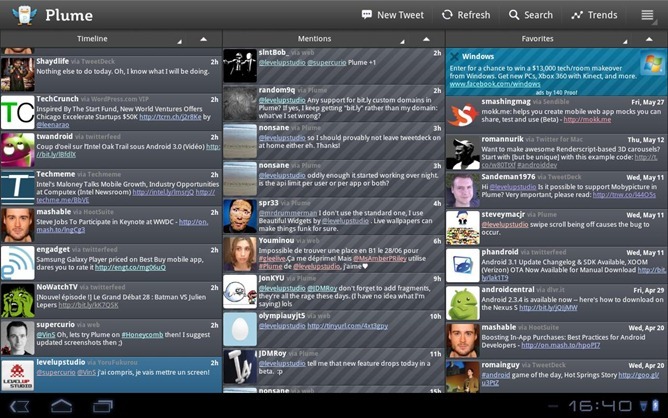 Multiple simultaneous panels seems like something that should be pretty easily implemented by most apps, but unfortunately, we've yet to see this from Twitter. At least Plume isn't slacking off. 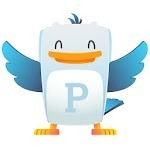 You can grab Plume (formerly Touiteur) from the Play Store right now.